“With Malice Toward None: The Life of Abraham Lincoln” is Stephen Oates’s 1977 classic biography of our sixteenth president. Oates is an author, historian and former professor of history at the University of Massachusetts Amherst. He is the author of sixteen books, many of which are focused on important people and issues relating to the Civil War. Oates’s biography was the first comprehensive treatment of Lincoln in nearly two decades. Critically hailed, it quickly gained a reputation as “the” standard Lincoln biography, replacing Benjamin Thomas’s 1952 biography in that role. Not until David Herbert Donald’s universally acclaimed “Lincoln” was published in 1995 did Oates’s biography relinquish its prominence. Thirteen years after its publication, Oates became embroiled in a plagiarism controversy when a number of “similarities” between Oates’s biography and Benjamin Thomas’s biography were discovered. The ensuing debate involved several respected historians and authors (including five Pulitzer Prize winners) and the American Historical Association. In Oates’s view he was cleared by the AHA, but in the eyes of many (including Lincoln historian Michael Burlingame) the evidence against Oates is overwhelming. Here is Oates’s perspective on the controversy as well as that of Burlingame. Though not as beloved as it was for the two decades following its publication, “With Malice Toward None” remains a popular choice for readers. At just over 400 pages, it is by far the shortest of the “classic” Lincoln biographies. Also, Oates’s style of writing is less formal than that of other Lincoln biographers, making for a relatively easy reading experience. The book’s brevity comes at a cost, however, as much of the interesting color and detail included in longer biographies is missing here. Its “informality” also proves to be a double-edged sword. Oates wavers between a “traditional” style of writing and one that is surprisingly colloquial. The frequent moments of vernacular language, while easy to digest, seem more designed for a “books-on-tape” narration rather than serious reading. In addition, while the author often quotes Lincoln, he also frequently paraphrases what Lincoln “may” have said on some occasion…but without using an actual quote (presumably because none exists). This “improvisation,” which I’ve never before seen in a presidential biography, assists in the flow of the story but otherwise seems odd. As a general matter, Oates’s text is quite colorful and expressive. His introduction of Mary Todd (Lincoln) to the reader may be the best I’ve read. His description of the evening of Lincoln’s assassination is the most comprehensive I’ve seen (though I’ve not yet read any of the Lincoln “assassination stories.”) Oates’s coverage of the Republican nominating convention, and the political jockeying which preceded it, is fascinating…though too concise. But the book is at its best during the presidential campaign of 1860 and in the months after Lincoln’s election. Not every important topic receives equally expert treatment. Some of Lincoln’s most important personal relationships are never fully explored (his parents and his first serious girlfriend, for example) and Oates’s description of the pivotal Lincoln-Douglas debates was the least interesting of any I’ve read. And in the end, the author takes almost no opportunity to provide insightful analysis of Lincoln’s actions or to explore his legacy. Instead, like many other biographies of this president, this book ends disappointingly quickly following Lincoln’s assassination. 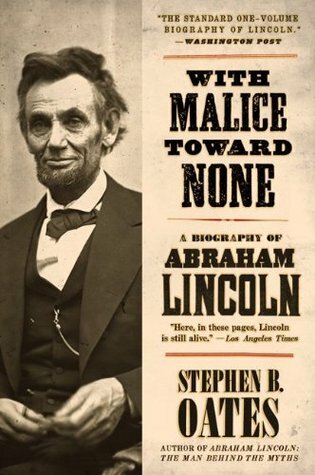 Overall, Stephen Oates’s “With Malice Toward None” is a solid, but not outstanding, biography of Abraham Lincoln. While there is much to praise about this book (including its comprehensive but efficient coverage of Lincoln’s life and its fluidity compared to many other biographies) it is far from perfect. Given the large number of options for Lincoln enthusiasts, Oates’s biography will appeal primarily to readers eager for a comprehensive biography of Lincoln but who lack the time required the navigate the newer six-to-eight-hundred page biographies which are enormously popular. Great post. I really enjoy your blog- definitely a very cool niche. I haven’t read much nonfiction lately, but I always did love presidential bios. I’ll be sure to browse through your archives next time I need a good one. Would you consider the enormous Caro biographies of Johnson in the same category? They are certainly some intimidating looking door stoppers! I haven’t read a Caro biography yet but I suspect that series will be one of the two or three best, period. That said, I don’t know how good they will be “stand alone” where McCullough and Chernow books are single-vol and require no context. But I can’t wait to find out! I’ve always liked Oates, same as I admire Ambrose too. I think there is a difference between improper citation and outright thievery. Thanks for such a marvelous blog. Your reviews got me to go with Burlingame over Donald, and I haven’t regretted it. As for the Caro bios, you are in for a treat! Caro’s created something of a Johnson obsession for me. Thanks for your note – so far Burlingame is the best of what I’ve read (but it obviously takes a larger investment of time). The Benjamin Thomas bio I’m reading now is currently my favorite of the single-volume bios (somewhat to my surprise). And I really can’t wait for Caro’s bios – I only hope he cranks out another volume by the time I get to LBJ! I wouldn’t hesitate to read the Oates biography of Lincoln. As I recall it was better than average if not quite in my top tier of favorites. And I can’t think of much that would be better to spend $1.99 on than a biography of Abraham Lincoln! You did give it a better than average review. I’m looking forward to reading it. 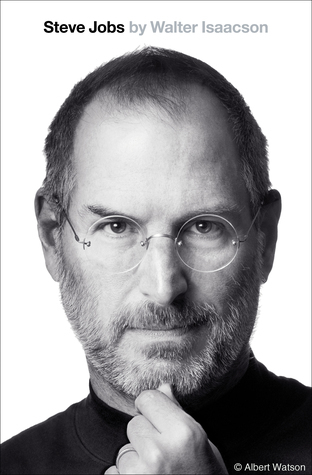 Steve, I tip my hat to you. You plunged into Lincoln as few others have, and thanks for giving future readers guidance as to what books would be the best bets to read. I was so impressed with Lincoln’s political skills, both short term at navigating the treacherous politics at hand and also leaving many writing that long endure. I liked this biography. My feeling is that the author, a storyteller and biographer, not a claimed lifetime Lincoln scholar, did NOT commit plagiarism. At the college where he taught, Andover, he taught a class on writing biographies. To that end he gathered the scholarship on Lincoln and wove it into a story. He cited his material in the footnotes. Naturally, his storytelling would be similar to others, yet a new biography. He does not claim scholarship that is not his, and he was cleared. Go look at the footnotes for John Adams by David McCullough. He does not provide footnotes in the text itself. McCullough is a storyteller, not a dedicated lifetime scholar of Lincoln, Adams, or anyone. He digs into the writings, books, scholarship of others too. I like With Malice Towards None, and it slightly emphasizes the slavery aspects. I agree it is brief and probably falls a bit short. Mary Todd Lincoln is not explained enough, for example, and surely does not delve into the Team of Rivals dynamics like Doris Kearns Goodwin does (also accused of plagiarism for sounding in a line or two like another author she did cite in the back). If you write about someone that someone else has written about and have read through the scores of books others have written, cited in your bibliography, it would be hard to avoid not one line sounding like someone else. Kind regards. And thanks again for this time capsule for future readers. Todd, thanks for your extremely detailed and thoughtful comment! Lincoln proved to be a more compelling *and* interesting person / president than I expected…which is a good thing considering how much time and space I devoted to him! Your observation on Oates reminds me of a recent biography of the Kennedys I read in which the author omitted quotation marks but otherwise cited sources in reasonable detail. However, by later obfuscating what happened, the author fell into the “cover-up is worse than the crime” abyss. In Oates’s case I only know what I have read of the situations…but what is clear is that I enjoyed his book on Lincoln irrespective of the circumstances.